Jenni "JWoww" Farley and Roger Mathews are giving fans a glimpse into their family Halloween photoshoot. 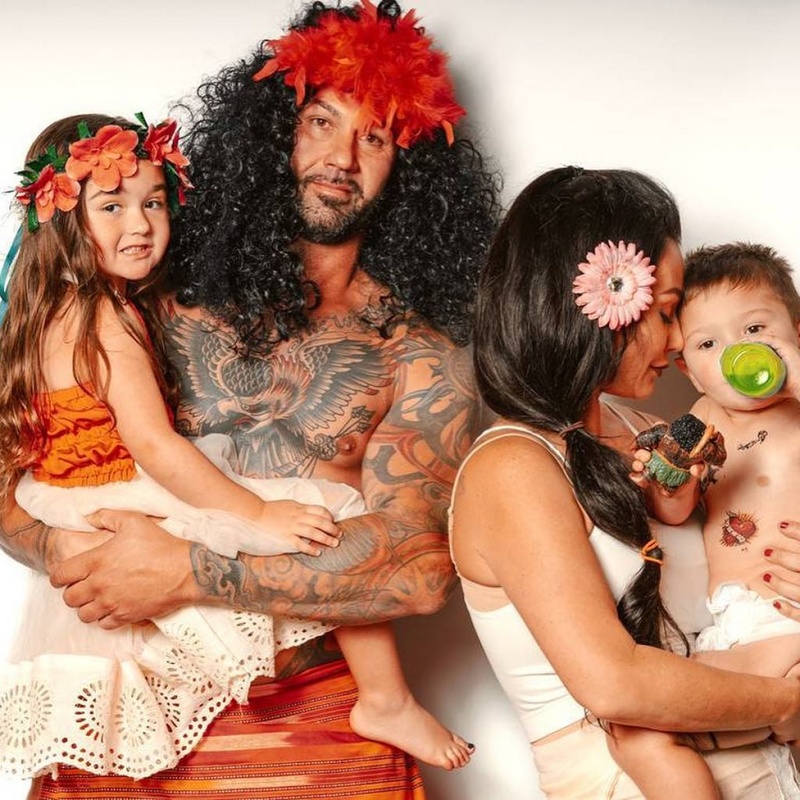 The estranged couple dressed up as characters from the Disney movie Moana with their two children, 4-year-old daughter Meilani and 2-year-old son Greyson. "The "Jersey Shore" star shared a behind-the-scenes video from the photoshoot Monday on Instagram. The clip shows Mathews dressed as Chief Tui and Meilani as Moana. "Behind the scenes of the Mathew's annual Halloween photoshoot," Farley captioned the post. "this year we dressed up as Bubby's favorite movie - Moana!" Farley also posted a full-length version of the video on YouTube. She and her family have previously dressed up as characters from The Addams Family, The Incredibles and The Cat in the Hat. "Every year the Mathews decide to do a family-oriented costume theme," she says in the clip. "This year we are going to go with Bubby's favorite movie -- literally, he carries his Maui doll everywhere -- we're going to go as Moana!" Farley and Mathews have reunited several times since Farley filed for divorce in September. The pair fueled reconciliation rumors this month by celebrating their three-year wedding anniversary. "Rome wasn't built in a day," Mathews said on Instagram. Mathews had vowed to win Farley back after the "Jersey Shore" star filed for divorce. He told fans he's "not done fighting," saying, "We're in counseling, so there is hope."